At Herr Ridge we take tremendous pride in preserving the history of Gettysburg with the flare of modern conveniences. Centrally located in scenic Gettysburg, our property offers something for everyone during every season. Our dedicated staff is committed to delivering exceptional and dependable service to every guest. Whether you are visiting our Inn or boutique hotel for business or leisure, we offer world-class amenities to make your stay memorable. Herr Ridge provides several on-site dining experiences including fine dining and a more ﻿casual dining﻿ atmosphere. Also on site is our award-winning wine cellar with over 6,000 highly rated domestic and international wines. Enhance your stay by pre-ordering a selection of food, wine, spa and other amenities to enhance your stay - Call reservations at 717-334-4332. Electric Vehicle Charging Stations. The Inn provides a Tesla Connector for Tesla Electric cars complimentary for our guests. Ghost hunting also plays a large factor in the experience of Gettysburg. Paranormal activity at the Inn has been quantified by those who investigate hauntings, and the Inn at Herr Ridge has been featured on SyFy's Haunted Collector paranormal series in 2013. The episode featured an investigation into paranormal events witnessed by staff and customers. Inn at Herr Ridge was listed on Destination Gettysburg's website as one of the Seven Haunted Restaurants You Need to Visit in Gettysburg. A first-hand ghost encounter could be yours. Rooms located in the original building contain diaries in which guests have documented ghost encounters. ﻿Reserve your room today﻿ for your own Ghosts of Gettysburg encounter. Herr Ridge offers more than a night away in a beautiful, comfortable bed and breakfast, but is an excellent place to begin your journey in learning the history of Gettysburg. 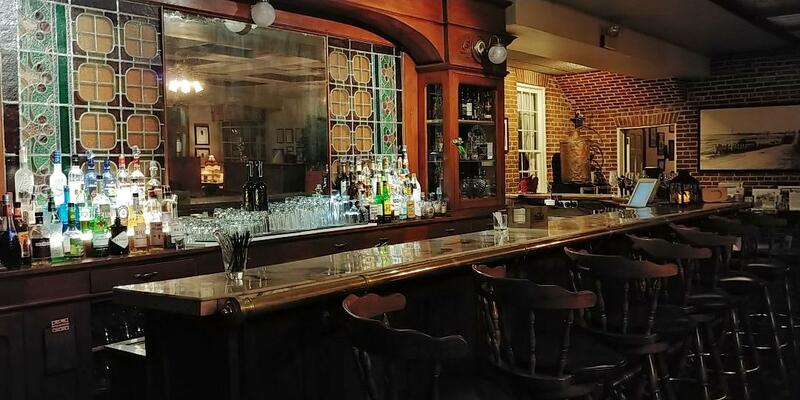 Established in 1815, the property functioned as a local tavern until 1828 when it was purchased by Frederick Herr. Herr also ran the property as a tavern and lodging for travelers. Additionally, Herr Tavern was a major stop in the Underground Railroad. The property played a pivotal role in helping slaves to escape. Later, the tranquility of rural Gettysburg was shattered by the Civil War. 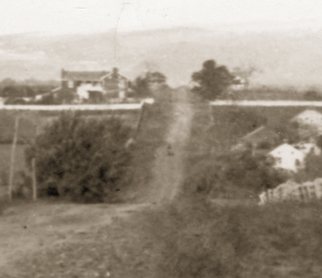 The Battle of Gettysburg was played out in the fields surrounding Herr Tavern. 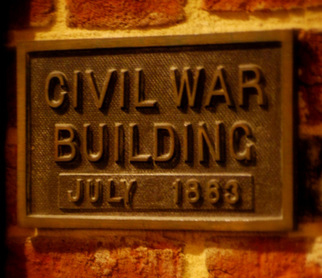 During the Civil War the tavern functioned as the first confederate hospital. In the main, historic building of the property, Rooms 1, 2 and 3 were the surgical rooms during the war. Frederick Herr owned the tavern until his death in 1868. After his death, the tavern was sold to the Reading family. The building was subsequently bought and sold over the years, eventually being used as a farm in the early 1900s. In 1977, Steven Wolf purchased and restored the property into a lodging and dining facility for both locals and travelers. Throughout history Gettysburg has been a central location for a wide range of travelers. Even today, Herr Ridge remains central to major cities on the East Coast. Make Herr Ridge a destination on your East Coast vacation, part of a family day trip, or just a nice evening out! 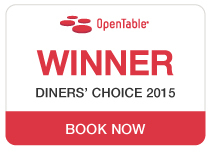 "This place has evolved into a really extraordinary culinary experience. Just wonderful, wonderful. The ﻿﻿﻿ history﻿﻿﻿ of the place speaks for itself and the food is every bit up to the measure of the history." "We stayed at the Inn and at dinner time, decided to try their restaurant. Probably one of the best decisions we could have made. The food was out of this world and the service superb! Everything was perfect and fresh (they pride themselves on using locally produced food items to ensure freshness). The restaurant was one of the best places we have ever eaten at. This place is a GEM." We appreciate when you call directly to reserve your room. That way we can give you the best service! The list of winners for this award is based on more than 5 million restaurant reviews submitted by OpenTable diners for more than 15,000 restaurants in all 50 states and the District of Columbia. Wine Spectator’s second-tier award was created to give special recognition to restaurants that clearly exceed the requirements of the Award of Excellence. These lists typically offer 400 or more selections, along with superior presentation, and display either vintage depth, with several vertical offerings of top wines, or excellent breadth across several wine regions. This award celebrates hospitality excellence and is given only to establishments that consistently achieve outstanding traveler reviews on TripAdvisor. Winners of the Certificate of Excellence are located all over the world and represent the upper echelon of businesses listed on the website, with only the top 10 percent receiving the prestigious award. This award is only given to an exclusive group of professionally inspected and guest reviewed luxury inns with extensive modern amenities.